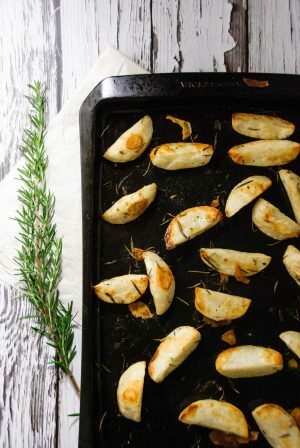 The best side dish: Rosemary Roasted Potato Wedges! Perfect for a crowd or just two people, these yummy whip up quick and are loaded with flavor! I have been no.1 bad lately! Missing two Friday posts, writing today’s post on the day it’s supposed to go public… craziness! But with good excuses, as most of my readers know my blog is a sort of hobby and sometimes when work and life get a little too busy (you know more than my average) something slips, and it’s usually TBC. But not to worry! I have some yummy recipes coming your way again! And hopefully, I can squeeze some Christmas cookies in before the holidays! But for now, these yummy Roasted Rosemary Potato Wedges: DIVINE. They are super simple to make and are great with pretty much any main: from fish to beef! I always have them with my Fricasséed Chicken recipe and they’d be good with pork chops as well! 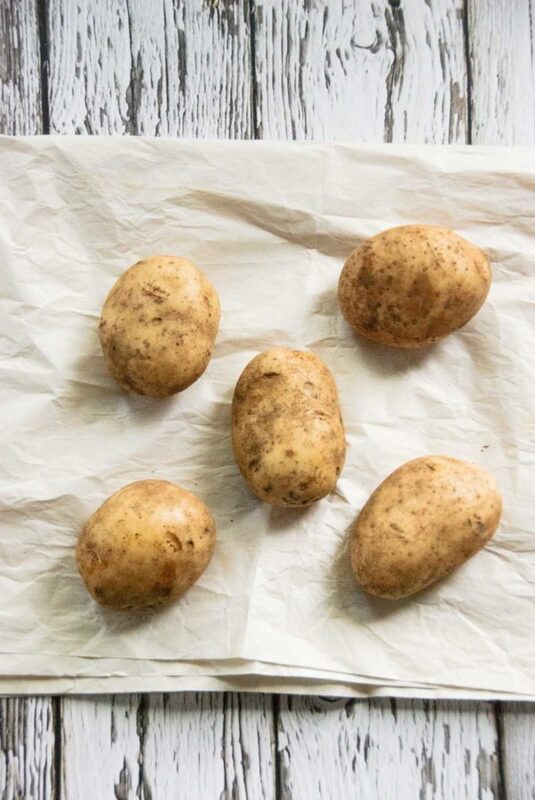 To decide on serving sizes, I usually go with a potato a person plus a couple of extras depending on the size of the potatoes. 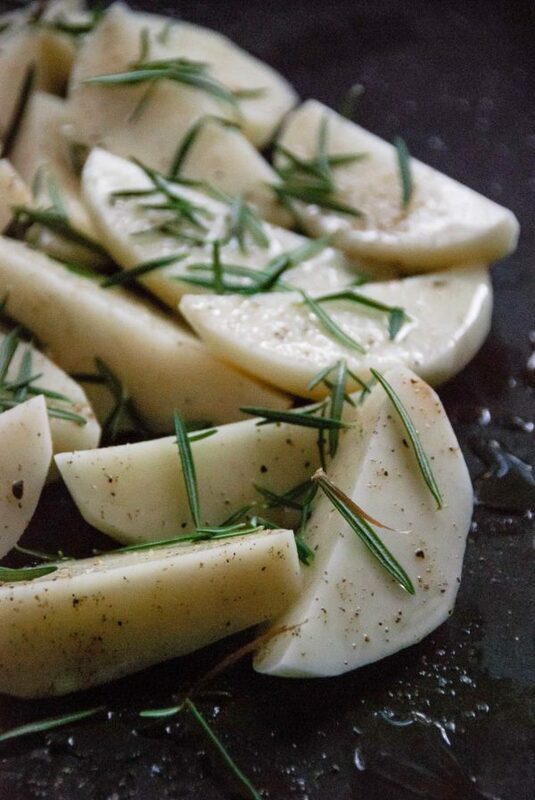 Then a quick wash and peel (or no peeling if you’re in more of a pinch or like the skins), cut into quarters or sixths depending on the size – I usually make them about an inch thick, throw them on a baking sheet with oil, salt, pepper and rosemary, do a good toss and roast! Roast for 25 to 35 minutes turning half way through until the potatoes are golden and tender. Serve. 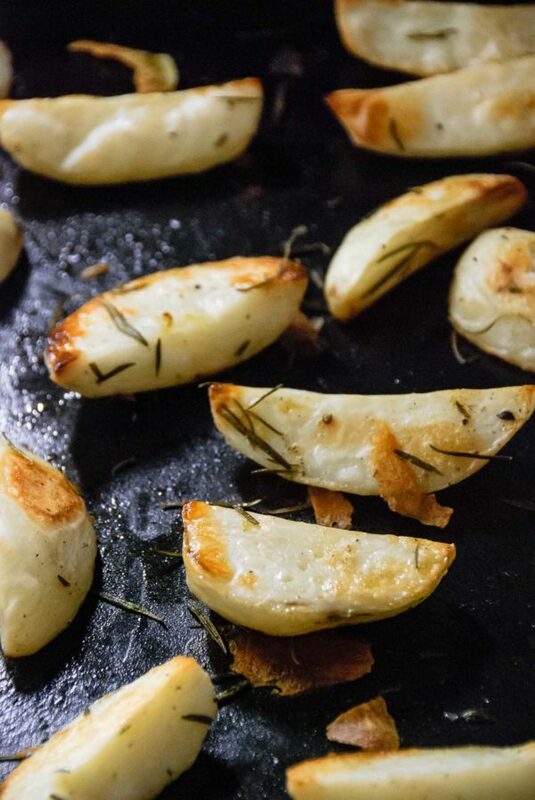 These are a great side dish! Don't be afraid to keep them in the oven with the heat off or lowered as you wait for the main dish to be ready!